(Reuters) – AbbVie Inc said on Tuesday the U.S. Food and Drug Administration placed a partial clinical hold on all trials of its cancer drug Venclexta for multiple myeloma, after a review of data found a higher proportion of deaths in the Venclexta arm of the late-stage study. Data review from the trial showed a higher number of deaths among patients taking Venclexta, compared to those given a placebo alongside other treatment. However, the clinical hold does not impact any of the approved indications for Venclexta, and is limited to investigational clinical trials in multiple myeloma, AbbVie said. Patients who are currently enrolled in studies and receiving the therapy may continue with the treatment, but no new patients should be enrolled in trials testing Venclexta for multiple myeloma until a further analysis of the data is completed, the drugmaker said. The drug is already approved to treat other types of cancer, including chronic lymphocytic leukemia and acute myeloid leukemia. 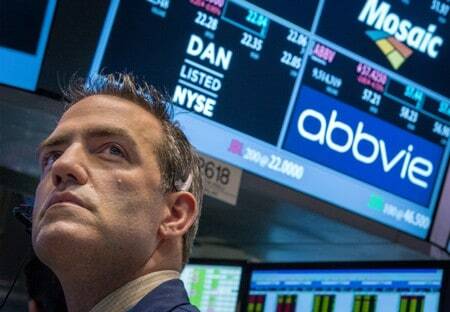 It brought in $344 million revenue for AbbVie in 2018. Venclexta is jointly sold by AbbVie and Roche AG in the United States, while AbbVie sells it in other markets.